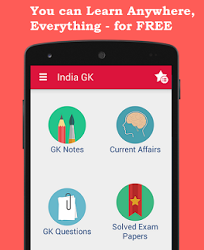 4th April 2017 Current Affairs MCQs, Quiz, Questions: Current Affairs for April 2017, Daily Multiple Choice Questions (MCQs) for India GK, World GK and current affairs with Collection of daily objective type Question by www.Indiagk.net based on General Knowledge (GK) and General Science (GS) Questions for UPSC, State PSC, SSC, Police exam, Railway exam, SBI, Bank PO, IBPC, SSC, LDC, UDC, Army, Airforce, Navy, Coast Guard, Bank Clerk, TET and all entrance examination with current affairs News, Multiple Choice Questions (MCQs) available on Website www.IndiaGK.net and Android Apps with daily updates:. Kishori Amonkar passed away on 3rd April. She was a ....... ? Which country passed a law allowing military courts to try civilians? Lenin Moreno is elected President of which country? Explanation: Ecuadorean leftist Lenín Boltaire Moreno Garces has won the 2017 Ecuador Presidential election after securing 51.16% of votes in the election. He will be Ecuador’s 44th President and will take office on May 24, 2017. Prior to this, Moreno served the nation as Vice President from 2007 to 2013 under President Rafael Correa. The current President of Ecuador is Rafael Correa. Who becomes first DGP of Gujarat on 4th April 2017?